Stop in for more details. Home Completion July 2019 MLS#2238554. 2714. Poplar Creek Village - Large, flat backyard with concrete patio that's perfect for grilling and entertaining! MLS#2238430. 81. 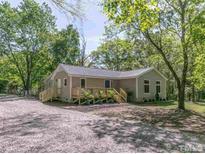 Rockbridge - Huge backyard with screened back porch, concrete patio for grilling and endless options! MLS#2237912. 3188. Princeton Manor - This home is scheduled to be completed June 2019 MLS#2237956. 2714. Moorefield - Great opportunity to put in a little sweat equity and create some value. MLS#2237935. 813. Princeton Manor - convenient to recreation areas, shopping, and highway access. Completion 6/2019 MLS#2237681. 2714. Princeton Manor - Walk out storage is locate on the second floor along with a massive bonus room and full guest Bedroom. Eve lights adorn the front MLS#2237721. 2714. Princeton Manor - It welcomes you with brick & stone exterior, the big foyer will impress with high ceilings & trim, the dining room is decorated with extensive chandelier, living room offers stone gas fireplace, kitchen provides craftsman style cabinets, sitting room is trimmed in tray ceilings, bedroom has extensive ceiling & ample windows, bath has his/her vanity MLS#2237723. 4346. Churchill - Bring offers now. HWA Home warrant plus more. MLS#2237598. 1117. Savannah Oaks - Hardwood Floors thru Main Living! Screened Porch! MLS#2237129. 1128. Close to I-540 & 264 Hwy. Great Location!! ! 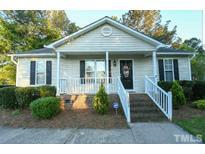 MLS#2237252. 1127. 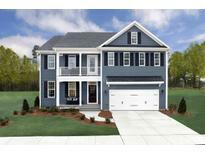 Rockbridge - Smart Home Features Large home sites in Wake County (county taxes only) MLS#2236204. 3251. Rockbridge - Upstairs you?ll find an extended owner's suite that includes a bath and shower next to Walk in Closet. MLS#2236220. 835. Some features in this home are: granite countertops in the kitchen, hardwood floors, a large 2 car garage, a hardscaped patio and a finished third floor -permitted -2016. Home Warranty is included. 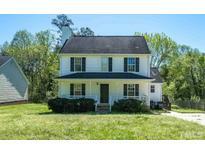 MLS#2235928. 2017. Rockbridge - Must see this plan in a Pool community, large home site, county only taxes MLS#2235843. 3251. New paint throughout this spacious 3bedroom house. Come see it for yourself. MLS#2235882. 1127. Rockbridge - 3rd Floor is Unfinished for storage! 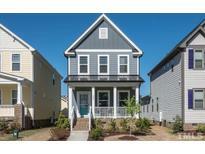 MLS#2235389. 835. Rockbridge - Pool Community, large home site in County only MLS#2235341. 3251. 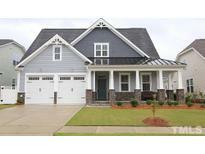 Most popular floorplan in Subdivision-This has it ALL! MLS#2235104. 4623. Princeton Manor - There is still time to make design choices on this home. MLS#2235142. 2714. Knightdale - Trails lead to KS Park, dog parks, playground, YMCA pools, nature areas, downtown shops. MLS#2235047. 946. Langston Ridge - Tons of storage and extra large closets throughout! MLS#2235061. 4645. Great home for the price. Will not last! MLS#2235079. 3676. 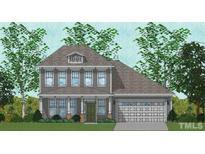 Savannah Oaks - FamRoom: w/Hardwood Floor, Cstm Srrnd GasLog Fireplace w/Mantle & Two French Doors to Scrnd Porch w/Cathedral Ceiling! Huge Bonus Room! MLS#2234873. 1128. 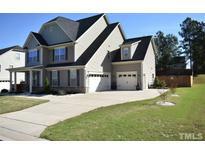 Princeton Manor - Beautiful home with lots of extras ready to move in! Come and see! MLS#2234105. 4852.